European hosting and cloud giant OVH has launched a new business strategy at the OVH Summit in Paris. 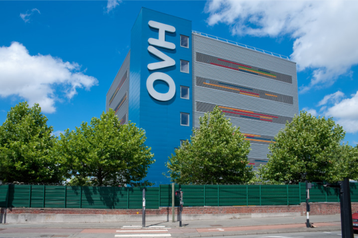 The company will separate all of its products into four categories: OVHmarket for web hosting and telecommunications solutions; OVHspirit for do-it-yourself cloud infrastructure and dedicated servers; OVHstack for its public cloud business based on OpenStack, Kubernetes and other open source tools; and OVHenterprise for larger customers, and hybrid and multi-cloud deployments that involve services based on software from VMware. The four product “universes” will be gradually deployed over the coming months. OVH also announced a number of new products, and upgrades for existing services including dedicated servers and cloud databases. This is the sixth annual OVH Summit, and the first OVH event to be headlined by the recently appointed CEO, Michel Paulin. Roubaix-based OVH Group runs a global network consisting of 28 data centers, 34 points of presence, and thousands of miles of dark fiber. The recent acquisition of VMware’s vCloud Air business enabled the company to enter the US market, where it now operates two data centers - in Virginia and Oregon. In the opening keynote, Octave Klaba, founder and chairman of OVH, said the company aims to build cloud services that are simple to deploy, have fair and predictable pricing, and are fully compatible with solutions from other public cloud providers. To this end, he announced four product “universes” – although it remains to be seen whether these will actually simplify the product range offered by OVH, or needlessly complicate it. There was also a plethora of product announcements: for example, OVH’s dedicated servers will see their bandwidth doubled, without any price increase. The company will introduce new high performance dedicated servers, featuring Intel Xeon SP CPUs, Intel Optane hybrid memory and solid state storage, and the rest of the range will see an overhaul, aimed at simplifying hardware choices. Before the end of the year, the company will deploy new dedicated machines designed specifically for artificial intelligence workloads. In terms of new cloud services, OVH is planning to roll out Managed Kubernetes – currently in private beta – and introduce OVH Analytics Data Platform, based on Hadoop. The company has also promised improvements for its cloud database line-up which includes MariaDB, MongoDB, MySQL, PostgreSQL and Redis. In the nearest future, OVH is planning to launch a “turn-key machine learning platform” and additional data processing tools, including Apache Spark as-a-service. It will also launch a new range of GPU-powered cloud instances based on Nvidia TESLA V100, alongside the NVIDIA GPU Cloud software platform. Meanwhile, the VMware-powered part of the cloud business will receive full integration with the company’s vSAN storage virtualization. “OVH is delivering advanced private cloud solutions built on the VMware Cloud Provider Platform, enabling customers to take advantage of consistent infrastructure and operations on-premises and in the cloud,” scommented Rajeev Bhardwaj, VP of Product Management for Cloud Provider Software Business Unit at VMware.